VIEW VIDEO – Outstanding !! 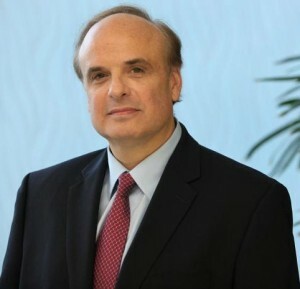 The American Heart Association presented its prestigious Paul Dudley White Award to Mark E. Josephson, MD, Chief of Cardiovascular Medicine at the CardioVascular Institute at Beth Israel Deaconess Medical Center, at its annual gala in April. The award is given annually to a Massachusetts medical professional physician who has made a distinguished contribution to the American Heart Association’s mission of building healthier lives, free of cardiovascular disease and stroke. Dr. Josephson is credited with transforming the field of cardiac electrophysiology from an intriguing scientific idea to a robust diagnostic and therapeutic tool for the management of arrhythmias, or abnormal heart rhythms. His research into the physiologic basis of these conditions has led to revolutionary achievements in their diagnosis and treatment. A passionate educator, Dr. Josephson in the late 1970s wrote the definitive textbook on the practice of electrophysiology. It is now in its fourth edition and one of the rare single-author textbooks in any field. Since 1982, he has co-taught a seminal bi-yearly seminar on the interpretation of complex arrhythmias. The course has been attended by nearly 6,000 physicians, including 85 percent of electrophysiologists in the United States, for whom it is considered a rite of passage. He is also one of the busiest clinicians in BIDMC’s Division of Cardiovascular Medicine. Having trained more physicians in his specialty than anyone else in the world, Dr. Josephson is fond of saying that his greatest legacy is the successes of his “academic children and grandchildren” and the subsequent generations of clinicians and researchers they have gone on to teach. Dr. Josephson is the author of 444 original articles in peer-reviewed scientific publications, such as the New England Journal of Medicine and Circulation, a journal of the AHA. He is the author of more than 200 chapters, reviews and editorials. Dr. Josephson shares a number of attributes with Dr. White, who was one of Boston’s most revered cardiologists and a founding father of the AHA. Their shared experiences include an association with Harvard, a sustained tenure at his medical institution, and early military experience that helped launch his career. Perhaps most significantly, they share an unbridled passion for saving and enhancing the lives of patients with cardiovascular disease. Pathologists and clinical laboratory managers may be surprised to learn that at least one data scientist has proclaimed pathologists the real big data rock stars of healthcare. The reason has to do with the shift in focus of genomic medicine from therapeutics and presymptomatic disease assessment to big data analytics. 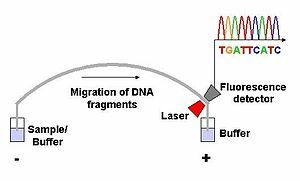 Golden has designed, built, and programmed DNA sequencing devices. He apprenticed under the Human Genome program and spent 15 years working towards the $1,000 genome. “I’m a believer,” he blogged. “[That’s] why I was so intrigued [by Boguski’s remarks]. Boguski is Associate Professor of Pathology at the Center for Biomedical Informatics at Harvard Medical School and the Department of Pathology at Beth Israel Deaconess Medical Center. It was in a presentation at a healthcare conference in Boston that Boguski pronounced that it is time for the $1,000 genome to go. Both Golden and Boguski acknowledged the benefits generated by the race to the $1,000 genome. Competition to be first to achieve this milestone motivated scientists and engineers to swiftly drive down the cost of decoding DNA. The result was a series of advances in instrumentation, chemistry, and biology. “Our notions about how genome science and technology would improve health and healthcare have changed,” Boguski wrote in an editorial published at Future Medicine. He then noted that the focus has shifted to big data analytics. In the editorial, Boguski described the phases of development of genomic medicine as “waves.” The first wave occurred during the mid- to late-1990s. It focused on single- nucleotide polymorphisms (SNP) and therapeutics. The second wave focused on presymptomatic testing for disease risk assessment and Genome Wide Association Studies (GWAS). Researchers expected this data to help manage common diseases. The first two waves of medical genomics were conducted largely by the pharmaceutical industry, as well as with primary care and public health communities, according to Boguski. Considerable optimism accompanied each wave of medical genomics. “Despite the earlier optimism, progress in improving human health has been modest and incremental, rather than paradigm-shifting,” noted Boguski, who wrote that,to date, only a handful of genome-derived drugs have reached the market. He further observed that products such as direct-to-consumer genomic testing have proved more educational and recreational than medical. It was rapid declines in the cost of next-generation DNA sequencing technologies that now has triggered the third wave of genomic medicine. Its focus is postsymptomatic genotyping for individualized and optimized disease management. 1. Pathologist-directed, licensed clinical laboratory testing has a major effect on clinical decision-making. 2. Medical laboratory testing services account for only about 2% of healthcare expenditures in the United States. 3. Medical laboratory services strongly influence the remaining 98% of costs through the information they provide on the prevention, diagnosis, treatment, and management of disease. “Genome analytics are just another technology in the evolution of molecular diagnostics,” Boguski declared in his editorial. Right now the cost of the testing and the turnaround times are not favorable. It is going to take a decade or more for clinical labs to catch up. For some time it will be send out tests to Quest, LabCorp, and State or University lab consortia. The power of the research technology is pushing this along, but for Personalized Medicine the testing should be coincident with the patient visit, and the best list of probable issues should be accessible on the report screen. The EHR industry is dominated by 2 companies that I see have no interest in meeting the needs of the physicians. The payback has to be on efficient workflow, accurate assessment of the record, and timely information. The focus for 25 years has been on billing structure. But even the revised billing codes (ICD10) can’t be less than 5 years out-of-date because of improvements in the knowledge base and improvements in applied math algorithms. The medical record still may have information buried min a word heap, and the laboratory work is a go-to-you know where sheet with perhaps 15 variables on a page, with chemistry and hematology, immunology, blood bank, and microbiology on separate pages. The ability of the physician to fully digest the information with “errorless” discrimination is tested, and the stress imposed by the time for each patient compromises performance. There is work going on in moving proteomics along to a high throughput system for improved commercial viability, that was reported by Leigh Anderson a few years ago. 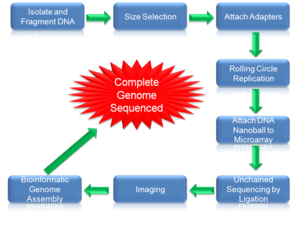 The genomics is more difficult, but the genomics is partly moving to rapid micropanel tools. 2. Integration into the EHR in real time and usable by a physician. 3. The sorting out of the highest feature “predictors” and classifying them into clinically meaningful sets and subsets. When this is done, then the next generation of recoding will be in demand. Introduction: We propose an automated nutritional assessment (ANA) algorithm that provides a method for malnutrition risk prediction with high accuracy and reliability. Materials and Methods: The database used for this study is a file of 432 patients, where each patient is described by 4 laboratory parameters and 11 clinical parameters. A malnutrition risk assessment of low (1), moderate (2) or high (3) was assigned by a dietitian for each patient. An algorithm for data organization and classification via characteristic metrics is proposed. For each patient, the algorithm characterizes its unique profile and builds a characteristic metric to identify similar patients who are mapped into a classification. Results: The algorithm assigned a malnutrition risk level for each patient based on different training sizes that were taken out of the data. Our method resulted in an average error (distance between the automated score and the real score) of 0.386, 0.3507, 0.3454, 0.34 and 0.2907 for 10%, 30%, 50%, 70% and 90% training sizes, respectively. Our method outperformed the compared method even when our method used a smaller training set then the compared method. In addition, we show that the laboratory parameters themselves are sufficient for the automated risk prediction and organize the patients into clusters that correspond to low, low-moderate, moderate, moderate-high and high risk areas. Discussion: The problem of rapidly identifying risk and severity of malnutrition is crucial for minimizing medical and surgical complications. These are not easily performed or adequately expedited. We characterize for each patient a unique profile and map similar patients into a classification. We also find that the laboratory parameters themselves are sufficient for the automated risk prediction. Keywords: Network Algorithm, unsupervised classification, malnutrition screening, protein energy malnutrition (PEM), malnutrition risk, characteristic metric, characteristic profile, data characterization, non-linear differential diagnosis. Researchers led by a group at Beth Israel Deaconess Medical Center have identified a genetic marker associated with the placebo effect in patients with irritable bowel syndrome. According to the group, the finding is the first to show “genetic modulation of true placebo effects,” and supports the possibility of using genomic information to better design placebo-controlled clinical trials. The researchers described their results in PLOS One this week. The project used genotyping to measure whether a polymorphism in the dopamine pathway‘s COMT gene was associated with differences in placebo response among 104 IBS patients enrolled in a three-arm trial of different placebo treatments. After studying the distribution of the val158met polymorphism among the trial’s three arms — no treatment (a waitlist), treatment with placebo alone, and placebo treatment with an “augmented” physician-patient interaction involving more support — the group found that the strongest placebo response occurred in met/met homozygotes who received the augmented placebo treatment. The researchers identified a weaker link between met/met and response in the placebo-only arm. And patients in the waitlist control arm showed no difference in response based on their genotype. The study’s first author, Kathryn Hall, told PGx Reporter this week that having a genetic predictor of placebo response could allow researchers to stratify future placebo-controlled drug trials by potential responders and non-responders. IBS is known to have a high placebo response rate. Hall said it’s likely that the use of genetic predictors for placebo response will be most relevant to trials of drugs for conditions that are similarly associated with high placebo response levels, such as depression, headache, allergies, and pain. “In conditions where there tends to be a high placebo response, oftentimes a drug fails because it can’t prove efficacy above the placebo response. In those cases, the pharmaceutical companies are basically losing quite a bit of money and time and resources,” Hall said. Hall cited diseases like Parkinsons and schizophrenia, which involve dopamine metabolism, as examples where new treatments might see their efficacy estimation confounded by the placebo effect. At a minimum, Hall suggested that drug developers might improve the success rates of their products by balancing the number of patients who are predisposed to respond and not respond to the placebo effect in both the treatment and placebo arms of a trial. In the study, Hall and her colleagues evaluated a subset of patients from an earlier randomized controlled IBS trial. In the previous trial, the group measured differences in response, based on patient-reported symptoms, after either placebo treatment alone, “augmented” placebo treatment in which patients were given extra physician interaction and support, or no treatment, and placement on a waiting list. In the genetic follow-up, the researchers genotyped 104 patient samples to look for associations between val158met genotype and placebo-response, based on reported symptoms and quality of life. The group coded each patient according to the presence of the COMT met allele and found that patients with the met/met genotype had the greatest level of improvement — based on their scores in a measure called the IBS-Symptom Severity Scale — while those with the val/val type had the least. Val/met patients fell in the middle. While patients homozygous for the COMT val158met allele were the most responsive to placebo overall, the strongest signal was in the augmented treatment arm, with a smaller effect in the placebo-alone arm, and virtually no effect, or even a reverse effect, in the waitlist control arm. The fact that the genotype is associated with a positive outcome only in groups given a placebo, and not in the control group, indicates that it is a true predictor of placebo effect, not just improvement in general, the group wrote. While previous studies have looked for a genetic link to placebo response, they have not included this control arm, according to the Beth Israel team. Additional studies that hypothesize a COMT involvement and include a no-treatment arm “will be critical to confirm our findings,” the group added. According to Hall, the field is likely still far away from using genomic information to influence the design of placebo-controlled trials. However, her group’s results suggest a path forward, she said. The results may also have implications for more personalized treatment strategies, she said. “On one hand, you could hypothesize that there are situations where people are placebo responders and taking a drug with a lot of side effects … Obviously giving people placebo pills is a long way off, but [perhaps you could] minimize someone’s drug intake if they are having more of a placebo response so they don’t have to have all the side effects,” she said. “Having a mechanistic understanding of what’s going on there, I think, will reinforce the need and the importance of this part of medicine,” she said, at least for some. The fact that val/val subjects, for example, showed the same lack of response in both the placebo-alone and augmented arms of the study may shed some light on why, “despite their best efforts, many a warm and caring physician has had patients that seemed to derive minimum benefit from their empathic attentions,” the study authors wrote. Molika Ashford is a GenomeWeb contributing editor and covers personalized medicine and molecular diagnostics. E-mail her here. What’s Up with the Mediterranean Diet? Most of us have heard about the Mediterranean diet, which has generated interest from both the media and the medical community as the gold standard in healthy eating. But what’s all the fuss about – is this diet really worth all the attention? The answer is yes, according toMurray Mittleman, MD, DrPH, a physician in the CardioVascular Institute at Beth Israel Deaconess Medical Center, Director of the Master’s in Public Health program at Harvard Medical School, and Director of cardiovascular epidemiological research at BIDMC. “The Mediterranean diet is a very healthy eating style that has been shown to improve cardiovascular risk factors – even for patients with established heart disorders,” Mittleman says. While most healthy diets include produce, whole grains, and fish, the Mediterranean diet and lifestyle offer subtle differences that may reduce the risk for heart disease, while making it easier to stick to healthy eating habits. Originating from the culture and traditional foods found in the area bordering the Mediterranean Sea, this diet first drew the attention of the American scientist Ancel Keys, who was stationed in Italy during World War II. Keys became convinced that middle-aged American men were experiencing heart attacks due to their diets and lifestyles. After conducting studies in the U.S., he began to work with researchers overseas in the first cross-cultural comparison of males and heart attack risk in what is known as the Seven Countries Study. Starting in 1958, the Seven Countries Study followed 11,579 men, 40 to 59 years of age, in four regions of the world (United States, Northern Europe, Southern Europe and Japan). This study found that men in Southern Europe were far less likely to experience coronary deaths than those in the U.S. and Northern Europe. The study also began to identify the eating pattern known as the Mediterranean diet and its protective benefits. The Mediterranean diet is a combination of many healthy choices that work together to promote good health, according to Mittleman. Understanding how and why the Mediterranean diet works involves looking at each of the components that make up this particular style of eating. The Mediterranean diet does not focus on limiting total fat consumption, but it does avoid the use of saturated fats and hydrogenated oils (trans fats), which both contribute to heart disease. Most of the fat calories in a Mediterranean diet come from “good” or monounsaturated fats, mainly from olive oil and also from nuts. Monounsaturated fats such as olive, canola, sesame, sunflower and corn oils contain alpha-linolenic acid, a type of omega-3 fatty acid from plant sources. Omega-3 fatty acids lower triglycerides, moderate blood pressure, decrease blood clotting and improve the health of your blood vessels. Fish is frequently on the menu of the Mediterranean diet, and red meat is rarely served. Light in calories, fish is a beneficial substitute for meat-heavy Western cuisine, which is higher in unhealthy saturated fat. In addition, fish such as mackerel, lake trout, herring, sardines, albacore tuna and salmon are rich sources of omega-3 fatty acids. Other plant-based protein sources, such as beans and nuts, also predominate in this style of eating. These vegetable protein sources are also light on saturated fat, helping to keep cholesterol and blood pressure in check. A wide variety of fruits and vegetables play an important role in the Mediterranean diet, and include fresh salads, greens sautéed in garlic and olive oil, soups, and vegetarian pasta dishes. Fruits, such as melon, often serve as dessert, rather than the sweetened, high-fat concoctions that Western-style dining offers. Baked sweets are generally reserved for holidays or special occasions. Fresh produce provides phytonutrients that prevent and repair damage to cells and protect blood vessels. In addition, the added fiber in the diet slows the release of glucose in the blood stream, which is an important way to help prevent or control diabetes. The Mediterranean diet typically includes a small amount of wine. While red wine has antioxidant properties, the amount, frequency and style of enjoying wine is what makes this an important part of Mediterranean dining, according toDr. Kenneth J. Mukamal, an internist and cardiovascular researcher at BIDMC. Mukamel served as lead researcher in a BIDMC study that linked the heart benefits of alcohol to the frequency of drinking. The study, which investigated 38,000 men over a 12-year period, was published in the New England Journal of Medicine in January 2003. How much alcohol is appropriate? The American Heart Association recommends up to one drink a day for women and one to two drinks a day for men. Examples of one drink include 4 ounces of wine, 12 ounces of beer, or 1.5 ounces of distilled spirits (80 proof). Mukamal cautions that for some people, such as those who have or are at risk for breast cancer or hepatitis C, regular consumption of alcohol may not be advisable. “It’s a complex mixture of potential risks and benefits, so it’s always worth a discussion with your doctor to be sure that drinking small amounts of alcohol is right for your situation,” he says. The incidence of heart disease and deaths in Mediterranean countries is lower than in the United States, but such statistics may not be entirely dependent upon diet. The Mediterranean diet is part of a lifestyle in which exercise, such as walking, is frequent. Families and friends gather to enjoy meals and each other’s company. And the pace of living seems less frenetic than elsewhere. But you don’t have to go to Rome to live as the Romans do. With some planning and attention to diet and lifestyle, you can bring the flavor and health benefits of the Mediterranean into your own life. Take a half-hour walk each day. Use olive oil instead of butter or margarine. Increase servings of fresh veggies and fruits – aim for at least seven per day. Eat fish and poultry and minimize or eliminate red meat. Aim for several meatless meals each week, incorporating legumes as a protein source when possible. Use fresh herbs and spices to flavor food instead of salt. Avoid foods that are processed, high in fat, or contain trans or saturated fat. Have a small glass of wine with dinner, if your doctor agrees. Prevention of Type 2 Diabetes: Is Bariatric Surgery the Solution? While a staff nurse at Beth Israel Deaconess Medical Center in Boston, MA in 2008, I provided direct care for Morbid Obese patients, above 400 pounds that were transferred to Farr 9 – the Acute Surgery Unit from the PACU following Bariatric Surgery. The first day after a significant surgical intervention was very tough to the patient and very tough for the nurses, three types of analgesic drugs were used including epidural pumps and PCA. Pain medication diffused in the adipose tissue with just moderate amelioration of pain. Few patients had the operation done 10 years ago and needed a repair. Technology had advanced. More studies are needed to ascertain that in presence of morbid obesity and absence of DM, a Bariatric Surgery is THE Treatment for DM Disease Prevention. Bariatric Surgery — From Treatment of Disease to Prevention? Bariatric surgery to treat morbid obesity has improved dramatically over the past 60 years — especially over the past several decades. Today’s methods are far safer than the hazardous intestinal bypass procedures that were introduced in the 1950s. Bariatric-surgery techniques have progressed through various iterations of horizontal and vertical stapling of the stomach with or without banding (e.g., vertical banded gastroplasty) to vertical gastric partitioning or creation of a gastric pouch with proximal bypass into a jejunal loop (i.e., the gastric bypass), which is considered to be a reference standard. Bariatric Surgery for Morbid Obesity. From the Department of Surgery, Duke University School of Medicine, Durham, NC. Lena M.S. Carlsson, M.D., Ph.D., Markku Peltonen, Ph.D., Sofie Ahlin, M.D., Åsa Anveden, M.D., Claude Bouchard, Ph.D., Björn Carlsson, M.D., Ph.D., Peter Jacobson, M.D., Ph.D., Hans Lönroth, M.D., Ph.D., Cristina Maglio, M.D., Ingmar Näslund, M.D., Ph.D., Carlo Pirazzi, M.D., Stefano Romeo, M.D., Ph.D., Kajsa Sjöholm, Ph.D., Elisabeth Sjöström, M.D., Hans Wedel, Ph.D., Per-Arne Svensson, Ph.D., and Lars Sjöström, M.D., Ph.D. Weight loss protects against type 2 diabetes but is hard to maintain with behavioral modification alone. In an analysis of data from a nonrandomized, prospective, controlled study, we examined the effects of bariatric surgery on the prevention of type 2 diabetes. In this analysis, we included 1658 patients who underwent bariatric surgery and 1771 obese matched controls (with matching performed on a group, rather than individual, level). None of the participants had diabetes at baseline. Patients in the bariatric-surgery cohort underwent banding (19%), vertical banded gastroplasty (69%), or gastric bypass (12%); nonrandomized, matched, prospective controls received usual care. Participants were 37 to 60 years of age, and the body-mass index (BMI; the weight in kilograms divided by the square of the height in meters) was 34 or more in men and 38 or more in women. This analysis focused on the rate of incident type 2 diabetes, which was a prespecified secondary end point in the main study. At the time of this analysis (January 1, 2012), participants had been followed for up to 15 years. Despite matching, some baseline characteristics differed significantly between the groups; the baseline body weight was higher and risk factors were more pronounced in the bariatric-surgery group than in the control group. At 15 years, 36.2% of the original participants had dropped out of the study, and 30.9% had not yet reached the time for their 15-year follow-up examination. During the follow-up period, type 2 diabetes developed in 392 participants in the control group and in 110 in the bariatric-surgery group, corresponding to incidence rates of 28.4 cases per 1000 person-years and 6.8 cases per 1000 person-years, respectively (adjusted hazard ratio with bariatric surgery, 0.17; 95% confidence interval, 0.13 to 0.21; P<0.001). The effect of bariatric surgery was influenced by the presence or absence of impaired fasting glucose (P=0.002 for the interaction) but not by BMI (P=0.54). Sensitivity analyses, including end-point imputations, did not change the overall conclusions. The postoperative mortality was 0.2%, and 2.8% of patients who underwent bariatric surgery required reoperation within 90 days owing to complications. Supported by grants from the Swedish Research Council (K2012-55X-22082-01-3, K2010-55X-11285-13, K2008-65x-20753-01-4), the Swedish Foundation for Strategic Research to Sahlgrenska Center for Cardiovascular and Metabolic Research, the Swedish federal government under the LUA/ALF agreement concerning research and education of doctors, the VINNOVA-VINNMER program, and the Wenner-Gren Foundations. The SOS study has previously been supported by grants to one of the authors from Hoffmann–La Roche, AstraZeneca, Cederroth, Sanofi-Aventis, and Johnson & Johnson. Dr. Lena Carlsson reports receiving consulting fees from AstraZeneca and owning stock in Sahltech; Dr. Bouchard, receiving consulting fees from New York Obesity Nutrition Research Center, Pathway Genomics, Weight Watchers, and Nike, payment for manuscript preparation from Elsevier and Wiley-Blackwell, royalties from Human Kinetics and Informa Healthcare, honoraria from NaturALPHA, and reimbursement for travel expenses from European College of Sports Sciences, Nordic Physiotherapy, Wingate Congress, and Euro Sci Open Forum; Dr. Björn Carlsson, being employed by and owning stock in AstraZeneca; Dr. Sjöholm, owning stock in Pfizer; Dr. Wedel, receiving consulting fees from AstraZeneca, Pfizer, Roche, and Novartis; and Dr. Lars Sjöström, serving as a member of the board of Lenimen, receiving lecture fees from AstraZeneca and Johnson & Johnson, and providing an expert statement on drug effects and weight-loss effects on obesity for AstraZeneca. No other potential conflict of interest relevant to this article was reported. Drs. Carlsson and Peltonen contributed equally to this article. We thank the staff members at 480 primary health care centers and 25 surgical departments in Sweden that participated in the study; and Gerd Bergmark, Christina Torefalk and Lisbeth Eriksson for administrative support. From the Institutes of Medicine (L.M.S.C., M.P., S.A., Å.A., B.C., P.J., C.M., C.P., S.R., K.S., E.S., P.-A.S., L.S.) and Surgery (H.L. ), Sahlgrenska Academy at the University of Gothenburg, and the Nordic School of Public Health (H.W. ), Gothenburg, and the Department of Surgery, University Hospital, Örebro (I.N.) — all in Sweden; the Department of Chronic Disease Prevention, National Institute for Health and Welfare, Helsinki (M.P. ); and Pennington Biomedical Research Center, Louisiana State University System, Baton Rouge (C.B.). Address reprint requests to Dr. Lars Sjöström at the SOS Secretariat, Vita Stråket 15, Sahlgrenska University Hospital, S-413 45 Gothenburg, Sweden, or at lars.v.sjostrom@medfak.gu.se.